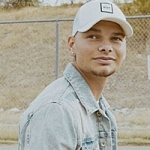 Kane Brown coming to Nebraskaland Days North Platte! Brown recently announced plans for his first ever headlining tour, the Kane Brown Live Forever Tour. Noted by the New York Times as “one of Nashville’s most promising young stars and also one of its most flexible,” Brown continues to shatter records and his “Lose It” was just selected to be spotlighted in Amazon Music’s brand-new advertising campaign A Voice is All You Need which also includes hits from Ariana Grande, Kendrick Lamar, SZA and Queen. Additionally, Brown was just named as an official New Era brand ambassador for their 2018-2019 NFL football season and seasonal ad campaign which is a first ever for a country artist. Brown also recently received word of his three 2018 American Music Awards nominations, which make him the most nominated artist in this year’s AMA Country Categories.